For the past 25 years, both civilian and military airshows around the world have been conducted under the professional and watchful eye of David Schultz. As President of David Schultz Airshows LLC, David is one of the company’s professional airbosses handing the air traffic control duties for airshows at military and civilian installations. He also works with the company’s professional ground operations specialists for perfect execution of airshow activities that are safe, entertaining, and on-time. David is also an ICAS Instructor and advisor for many airshow related education and de-briefing seminars. Known for his dedication to running a safe and face paced airshow, David is also the only recipient outside of the FAA to be awarded the FAA Regional Administrator’s Award for Extraordinary Service. As a degreed Aerospace and Mechanical Engineer, David also brings this level of intricate detail to all aviation events in which the company participates. David is also an Honorary US Army Golden Knight. Known as an innovator in airshow operations and coordination, well over 500 aerial events have been coordinated by David Schultz and his team of dedicated professionals from coast to coast in the United States and in the Caribbean. Military jet teams, single ship tactical demo teams, parachute teams, civilian performers, warbird owners, museums, and military squadron personnel know of his and his company’s dedication to each one of their aerial events and their commitment to them for a safe, orderly, expeditious, and entertaining event. For over 30 years, Howdy has narrated airshows throughout the United States. Starting out as an airshow volunteer at numerous Mid-Atlantic airshows, Howdy began his airshow announcing with the late Jack Poage outside of Baltimore, MD. 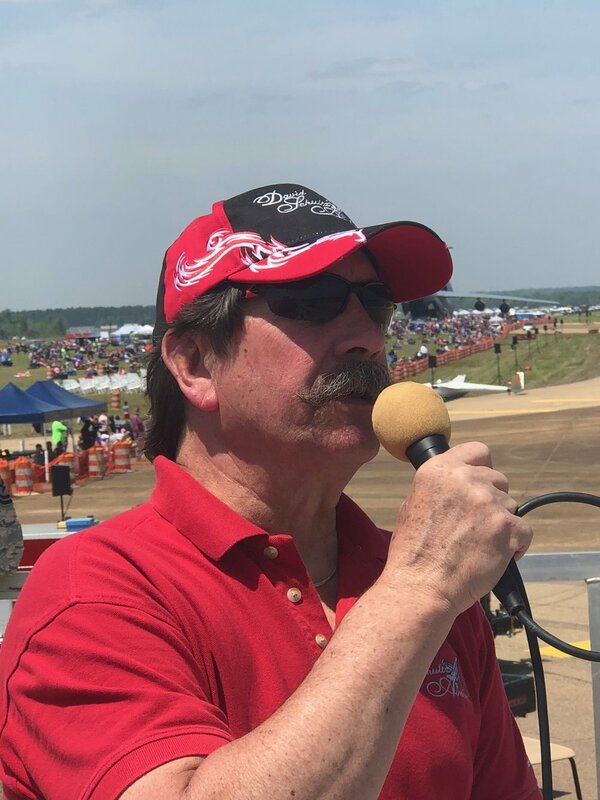 Today, as part of David Schultz Airshows LLC, Howdy narrates over three quarters of their airshows each year for the company. Well known for his energetic and informative narration style, there are few other airshow professionals in the industry today with the aerobatic knowledge and delivery for fast paced aerobatic demonstrations than Howdy. He is also very well known for his knowledge of Warbirds and military aircraft. His informative style of narration has granted him distinguished recognition by performers such as the GEICO Skytypers, Matt Chapman, and Rob Holland, and his personality wins friends with the civilian and military performers wherever he goes. In a some instances, he’s also narrated for the Army Golden Knights and US Navy F/A-18 Tactical Demonstrations during their performances. Howdy has narrated at over 100 locations all across the United States and has over 400 airshows under his belt. 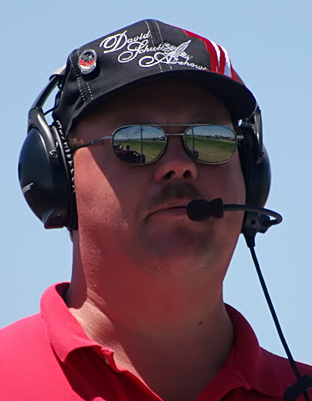 Since 1997, he’s been announcing airshows and been active within ICAS with David Schultz Airshows LLC. Howdy was announcer during 1997 Stealth Fighter crash in Maryland and the way in which he reacted to this incident over the PA System is case study for US Air Force on CORRECT way to respond to an incident. In December 2015, Howdy was knighted as a Honorary US Army Golden Knight for his work with the team over the past 2 decades.